26 September 2018, Birchwood Nuclear Hub. The UK’s biggest independent nuclear suppliers’ exhibition returns to Birchwood Park, the heart of the North-West nuclear cluster. The Engineering & Technology Solutions Exhibition will feature exhibitors from along the nuclear supply chain. The 2018 exhibition will include technology demonstrations – including a hands-on taste of advanced manufacturing innovation aboard the AMRC Mantra travelling showcase – knowledge-sharing and technical presentations, and networking opportunities. The event is organised by Nu-Tech Exhibitions & Events, with support from the Nuclear AMRC, Nuclear Decommissioning Authority, Nuclear Institute, Nuclear Industry Association, National Skills Academy for Nuclear, North-West Nuclear Forum and Birchwood Forum. 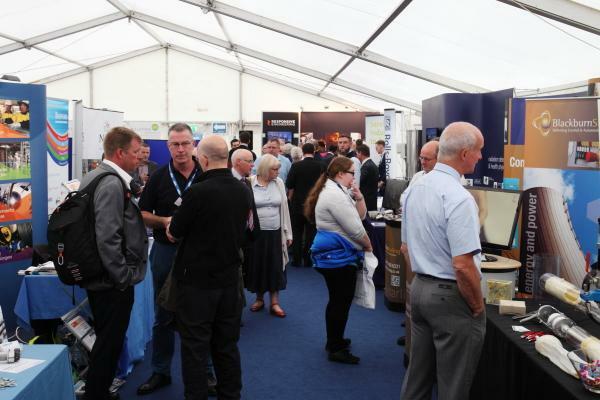 Last year’s event was attended by more than 150 companies of all sizes, with exhibitors including over 40 Fit For Nuclear manufacturers. This year, F4N-granted companies can claim an exclusive discount on exhibition space.